A mere week after the launch of the powerful, $200 Radeon RX 480, AMD’s already released an updated driver for the graphics card. 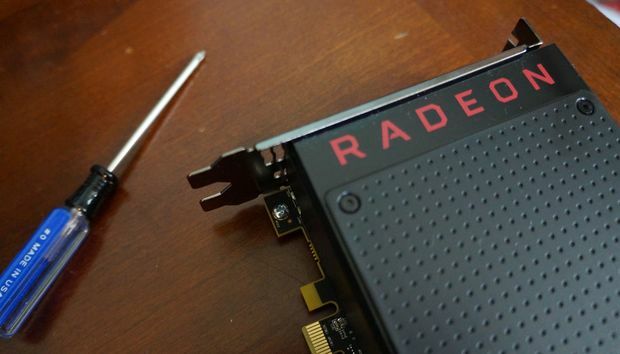 But while Radeon Crimson 16.7.1 contains the usual bug fixes and whatnot, it exists mostly to “fix” the RX 480’s troubling power consumption, which drew an excessive amount of wattage and amps through the PCI-E slot on PC motherboards, provoking fears of potential motherboard damage. The new driver adjusts how the RX 480 draws power, shifting more of the load to the 6-pin power connector that plugs straight into your power supply—which, honestly, is probably how the card should have operated from the very beginning. That thrusts the 6-pin power connector over its theoretical 75 watt rating, but that shouldn’t be an issue; the connector can withstand the higher power. But if you’re still concerned, Radeon Crimson 16.7.1 also includes an optional “Compatibility mode” toggle in its Global Settings that forces the card to lower its overall power draw. Compatibility mode is off by default, however, and be aware that tinkering with the new WattMan overclocking tools will override the setting. This Compatibility toggle in Radeon Crimson brings power levels down to the official spec. But dramatically adjusting a graphics card power draw can also affect performance, and the Radeon RX 480’s performance in particular is highly sensitive to power limit alterations. Does the new driver fix sacrifice frame rates to fix the power draw issue? That’s the question on everybody’s mind, so we downloaded Radeon Crimson 16.7.1 and ran some tests to check. To see whether or not the new driver hinders performance, we retested 3DMark Fire Strike, The Division, Far Cry Primal, and Rise of the Tomb Raider, all at 1080p resolution since that’s the true sweet spot for the RX 480. As you can see, Radeon Crimson 16.7.1 doesn’t hinder performance whatsoever. In fact, in most scenarios performance actually improves thanks to optimizations made in the driver—even when the more stringent Compatibility mode is enabled. Bravo! But the real question is whether or not Radeon Crimson 16.7.1 truly fixed the RX 480’s bizarre power consumption behavior. Unfortunately, we don’t have the specialized equipment necessary to test how much power is flowing through the PCI-E slot and the 6-pin power connector individually. But AMD provided PC Perspective and Tom’s Hardware—the two sites that chronicled the original power draw controversy—the driver early enough to conduct extensive power draw testing, and each gives the new driver a hearty thumbs up. I strongly recommend reading both articles if you’re interested in more nitty-gritty details about the RX 480’s power consumption. All in all, AMD nailed it. Radeon Crimson 16.7.1 alleviates the Radeon RX 480’s excessive PCI-E power draw while offering performance similar or exceeding the launch day drivers. That’s excellent. And while AMD’s decision to ship the RX 480 in its original spec-exceeding power configuration was questionable at best, the company deserves props for responding to user fears and pushing this driver out lickity-split. The Radeon RX 480 is the best $200 graphics card ever released, and Radeon Crimson 16.7.1 makes it even more so. You have no reason to fear potential system instability using AMD’s card anymore—and every reason to go download the new driver right now.